I'm baack... whew. Quite a week, in Europe, what with riding and watching the Tour of Flanders, and then meetings in Utrecht, Netherlands, Bonn, Germany, and Zurich, Switzerland. In between I managed to screw up trains in every way possible; in one case, I took the right train to the wrong station, in another, I got on the wrong half of the right train (yes, they separate the cars, and off you go in the wrong direction), and in yet another I took the right train to the right station but got off at the wrong place. 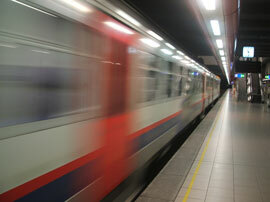 It was all great :0 Have I ever told you I love trains? Bill Whittle: Vigilance and the Siren Song of the State. Meanwhile, Chris Horner gets his txapela, wins Basque tour. Good for him, that's cool. Probably his biggest victory as a pro. Earthquakes! 7.2 in Baja California. Yikes. Felt all the way in Holland; I was visiting relatives and my Mom called to report the news and check if we were okay. Ha. And not to mention 7.8 in Sumatra, Indonesia. Double yikes. Here's some important research: would a Lava Lamp work on Jupiter? 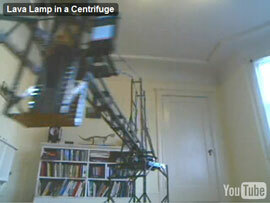 Featuring a homemade test rig: "The centrifuge is a genuinely terrifying device. The lights dim when it is switched on. A strong wind is produced as the centrifuge induces a cyclone in the room. The smell of boiling insulation emanates from the overloaded 25 amp cables. If not perfectly adjusted and lubricated, it will shred the teeth off solid brass gears in under a second. Runs were conducted from the relative safety of the next room while peeking through a crack in the door." Yes, you must view it in action. BTW the conclusion is... yes! 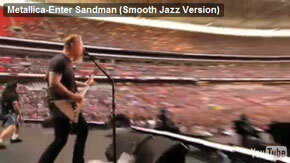 Yes: smooth jazz version of Metallica's Enter Sandman, with James Hetfield on vocals. Surprisingly not terrible, and interesting for being so different. I have an Ottmar Liebert version of Led Zeppelin's Kashmir which is similar. Eric Raymond: "And the thing that has me scratching my head, two days after the iPad announcement and knowing it has sold 300K copies in that time on the strength of Apple’s brand, is that I can’t find a real use for it either." Overall he doesn't like it, and doesn't get it. Dave Winer: "Most of this is negative, and it reflects my feeling about the iPad, which is generally negative, even though I have a lot of fun discovering the problems with the device." Overall he doesn't like it, though he thinks it is important. Glenn Reynolds: "So I tried out an iPad today and I'm kinda lukewarm." John Gruber: "There’s something fundamentally strange about how fast the iPad feels considering how underpowered it is versus a modern PC or Mac." Overall he likes it. A lot. Ars Technica: "Truthfully, this device is one that can only really be understood by playing with it firsthand (we know, it took us more than 18,000 words to tell you that)." Overall, they like it. Cory Doctorow: "Why I won't but an iPad (and think you shouldn't either)." An anti-DRM rant. Can't wait to get mine... waiting for me at my office. Stay tuned! 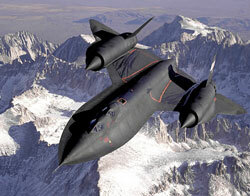 The thrill of flying the SR-71 Blackbird. Awesome! Scott (Dilbert) Adams contemplates The Happiness Button. "Suppose humans were born with magical buttons on their foreheads. When someone else pushes your button, it makes you very happy." An interesting analysis which results in a deep conclusion, with which I agree entirely: "I can't think of any imaginary situation in which long term happiness could come from other people. The best you can hope for is that other people won't thwart your efforts to make yourself happy." It's about time: Slashdot reports C programming language back at number 1. Primarily due to the decline of Java. Ha! 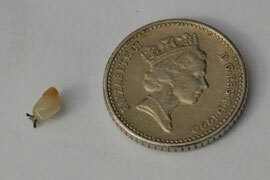 The teeniest ZooBorn yet: a French Polynesian tree snail.